"State Department spokesman James P. Rubin gave a boffo performance yesterday at the briefing on how to distance one member of the Clinton family from another, potentially more troublesome member. 'But let me say we do understand that ...Roger Clinton plans to participate in a charity concert in North Korea,' Rubin said. 'As a rule, we do not oppose cultural exchanges with North Korea. As far as what he's going to do and not do, I urge you to conatct him directly. We have no official connection with this event in any way, shape or form'" (Al Kamen, In the Loop, The Washington Post, December 3, 1999). 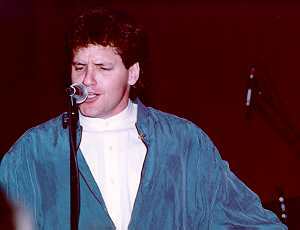 "Roger Clinton, everybody's favorite presidential half-brother/R&B singer, will be rocking in North Korea next month. He will be among the performers at an event dubbed 'The 2000 Peace and Friendship Concert,' to be held in the capital of Pyongyang" (Washington Post, November 27, 1999). Clinton will be joined by considered to be teenage pop stars from South Korea along with North Korean performers, according to the Seoul-based promoter Korecom" (Washington Post, November 27, 1999). "The free concert will be taped and aired at a later date on South Korean television. It is considered significant because the two Koreas have technically been at war with each other since 1950, and visits between citizens of either nation are extremely rare" (Washington Post, November 27, 1999). "Clinton's musical career received a boost in 1992 when his older brother, an amateur saxophonist, was elected to the Oval Office. He made a splash during the inaugural festivities, memorably performing a ballad with pop divas En Vogue" (Washington Post, November 27, 1999). He has previously performed in South Korea to promote better relations between the United States and that country" (Washington Post, November 27, 1999). "A California judge has ordered Roger Clinton to pay $1,258 to former neighbor Jeff Klempan, who said he was bitten by Clinton's black Labrador as he passed the First Brother's house in Torrance, California" (Ann Gerhart and Annie Groer, The Reliable Source, The Washington Post, December 16, 1998). "'Mr. Klempan is happy that we won,' said his lawyer, David Brown. 'He is unhappy that we had to go through 1 1/2 years of depositions, arbitrations and motions.' Brown said Klempan, a tree trimmer, never sought specific damages" (Ann Gerhart and Annie Groer, The Reliable Source, The Washington Post, December 16, 1998). "But Clinton's lawyer, Kevin James, said opposing counsel 'marched in thinking six figures and got four' on Tuesday, after a week-long trial. Kelmpan 'is not upset with the verdict,' James told The Post's Janelle Erlichman. The two sides are still arguing over court costs" (Ann Gerhart and Annie Groer, The Reliable Source, The Washington Post, December 16, 1998). "Roger Clinton may not be the world's greatest rocker, but he's smart enough to perform in South Korea while his half brother, President Clinton, is visiting Seoul" (Now You Know..., The Washington Post, November 19, 1998). "Roger Clinton went to court Tuesday to deal with a civil suit alleging that his dog bit Jeffrey Klempan, who was walking a leashed Rottweiler in front of the First Brother's home in Redondo Beach, Calif, in May 1997"(Now You Know..., The Washington Post, November 19, 1998). "But the trial didn't start that morning, and Clinton asked for a postponement so he could perform this weekend. The judge set the case for Dec. 7. 'All of a sudden he remembered he had to go to Korea. I thought it was ridiculous,' said Klempan's attorney, David Brown (Now You Know..., The Washington Post, November 19, 1998). "Klempan, 41, a tree trimmer for the city of Torrance, Calif., wants money for lost wages, hospital bills, and pain and suffering. Clinton attorney Kevin James disputed Klepman's account. He told The Source that Clinton's black Labrador was actually attacked by the Rottweiler and 'Roger separated the two dogs'" (Now You Know..., The Washington Post, November 19, 1998). "James claimed that Klempan filed suit only 'because Roger is the president's brother. Roger refuses to pay this man money when his dog was mauled by this man's dog.' Clinton has countersued for $300,000" (Now You Know..., The Washington Post, November 19, 1998). "Roger Clinton, brother of the former president, was granted a pardon for a 1985 drug conviction [by Bill Clinton]" (Peter Slevin, The Washington Post, February 8, 2001).